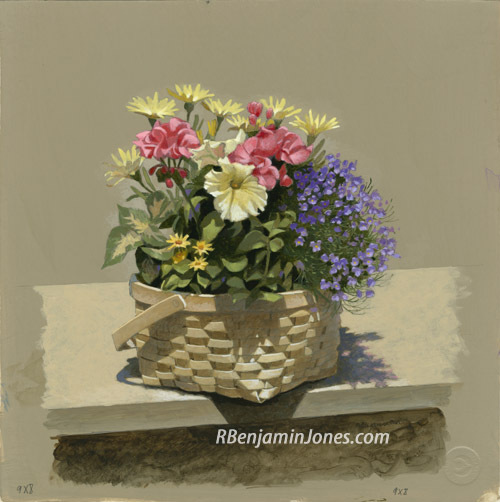 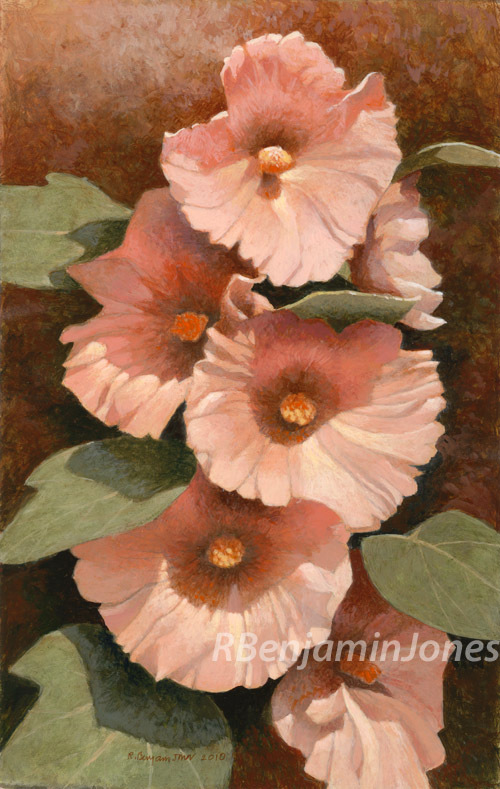 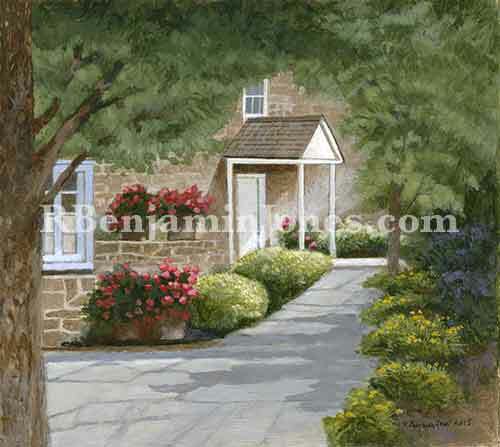 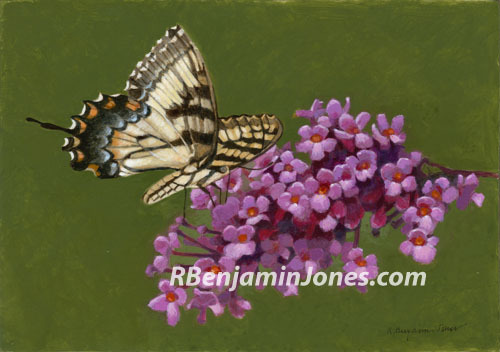 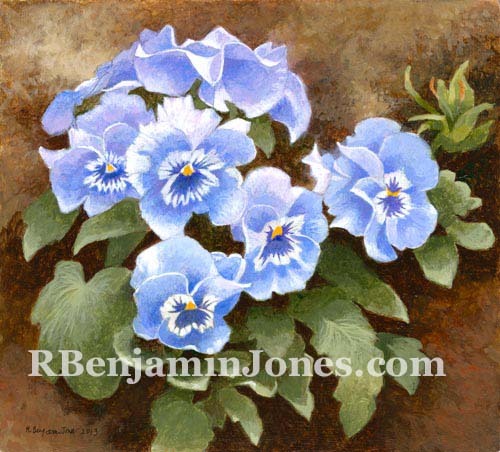 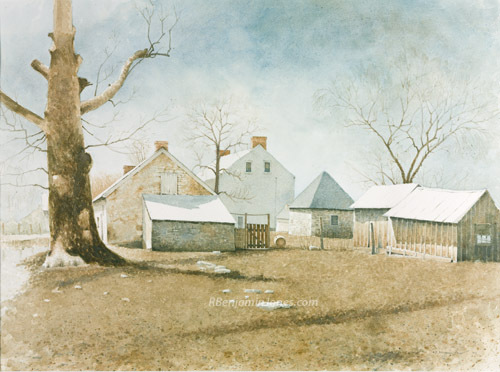 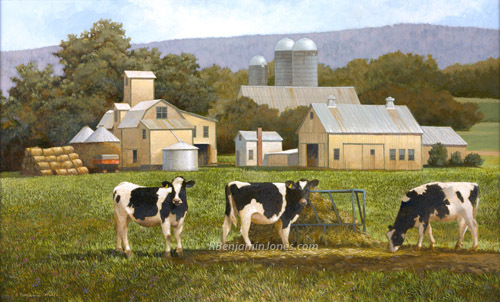 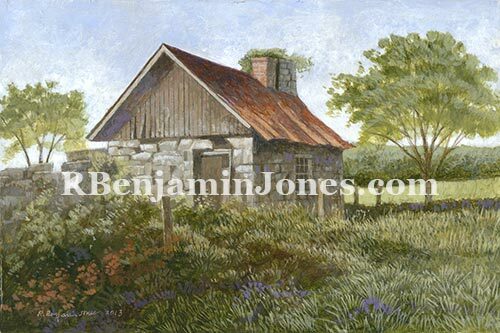 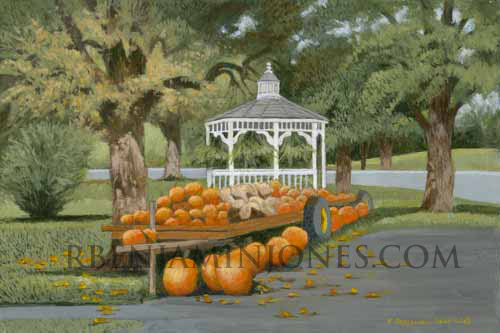 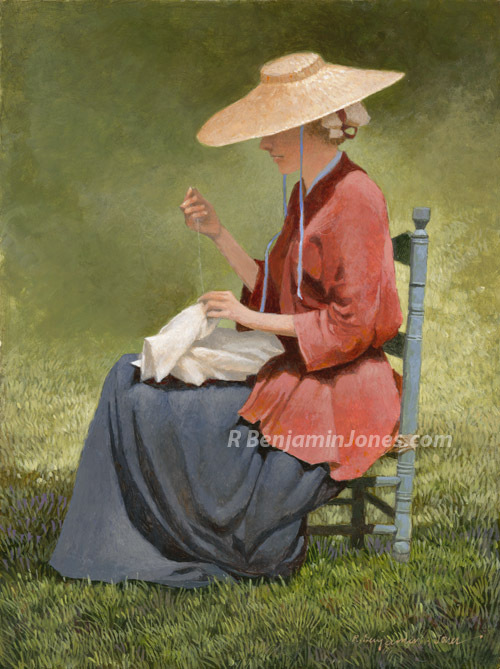 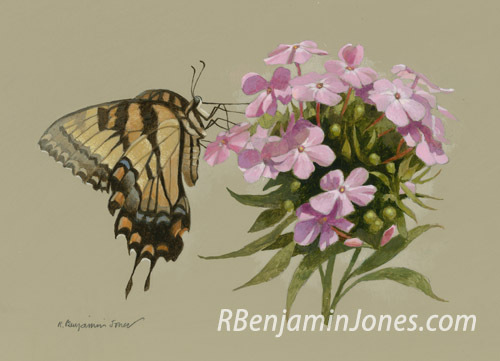 Maryland artist R. Benjamin Jones was an accomplished painter portraying scenes from his native Maryland, the state's Eastern Shore, the Amish of Lancaster County (PA), New England, and from a trip to Florence and Tuscany, Italy. 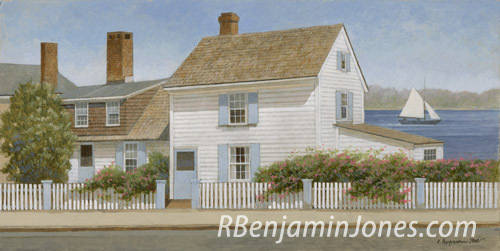 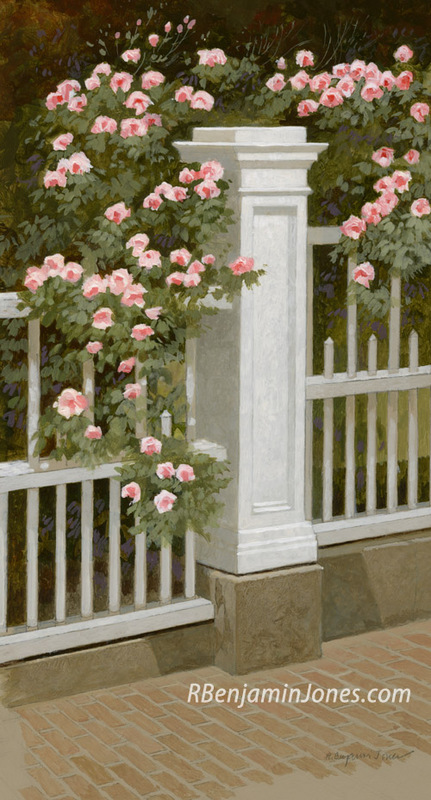 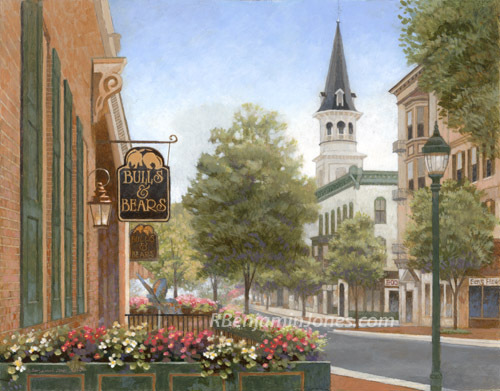 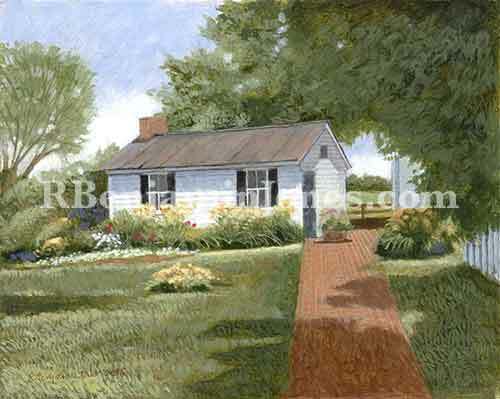 He sought to portray the gentle beauty of the world in his paintings of delicate flowers, New England streets and harbors, Amish faces, rough Chesapeake Bay watermen and rose-covered cottages along island roads. 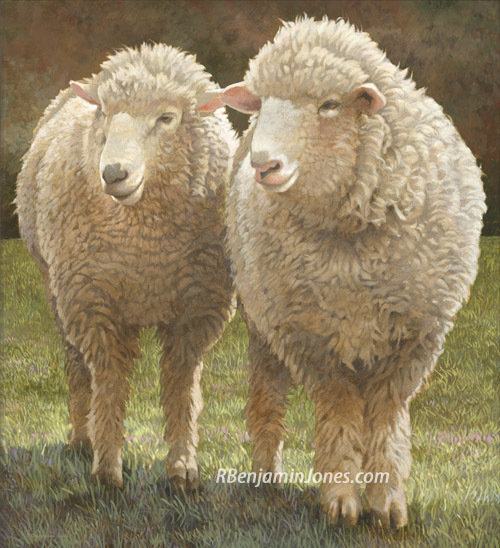 He studied at the Maryland Institute of Fine Arts in Baltimore, the University of Maryland and Pittsburgh Theological Seminary. 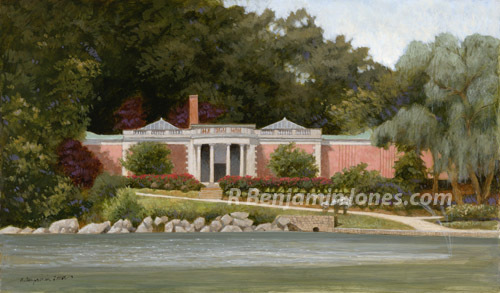 Jones' works have been shown in many galleries and museums including the Lockwood Mathews Mansion Museum in Norwalk, Hurlbutt Gallery in Greenwich, Greenwich Art Society, Greenwich Workshop in Southport, McBride Gallery in Annapolis, The Greenbrier, Washington County Museum of Fine Arts, Baltimore Museum of Arts and The Smithsonian. 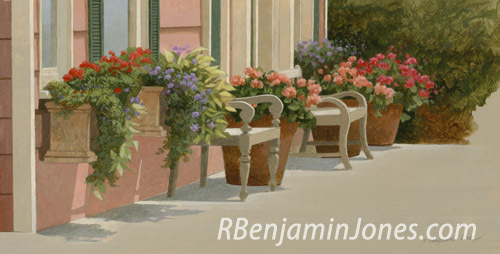 If you have questions, please email info@rbenjaminjones.com or call 800-955-3902.